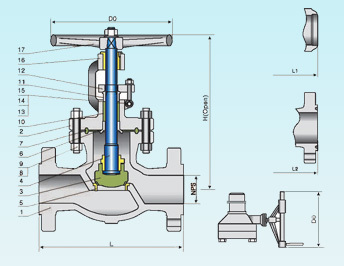 NU-TECH cast steel globe valves are designed and manufactured to provide maximum service life and dependability. 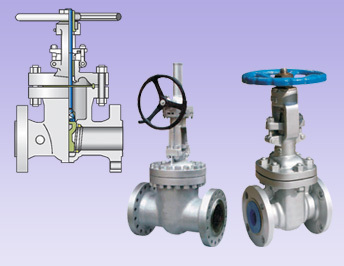 All gate valves are full ported and meet the design requirements of American Petroleum Institute standard API600 & 6D BS EN 13709 and generally, Conform to American Society of Mechanical Engineers standard ASME B1634. Valves are available in a complete range of body/bonnet materials and trims. Large hand wheels for easy operation. also available with gearing motor actuators, pneumatic or hydraulic actuators for more difficult services. In services requiring frequent cycling or with high pressure/temperature variations, live loading extends the service life between maintenance periods by requiring less statements. Belleville springs are employed to provide constant packing gland stress. Furnished in aluminum bronze to reduce operating torque. Most size furnished with ball bearing yoke sleeves. Lantern ring leak-off frtting connection & double packing stack is optionally available for critical services. Separate heavy duty, full ported rings for easy maintenance. Screwed or welded connection into body. Standard body/bonnet materials include nine grades of carbon, low alloy & stainless steels. For special applications they can be supplied in other grades of alloy& stainless steeL Threre's a full range of trim materials to match any service optional packing & gasket materials are available for a full range of service conditions. Bolted bonnet Welding bonnet and pressure seal bonnet in services requiring frequent cycling or with high pressure/tempareture variations. 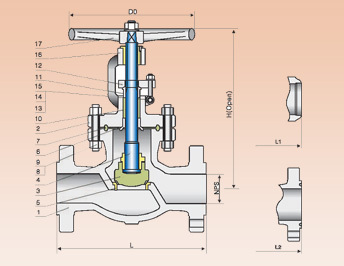 A flat face gasket joint is used in the 150lb to 600Lb valves. 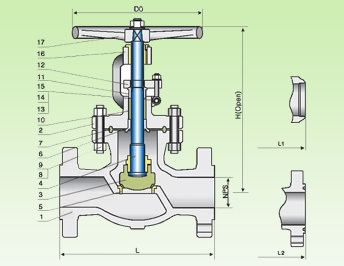 Ring joint is used in the body to bennet connection in 900lb & higher rated valves. All Plug disc is stem guided on all size. Disc has a differential angle front the seat to provide a line contact for maximum sealing. The bottom of V-port disc is feuded by the body seat ring for maximum disc stability in throttling applications. the soft teflon ring is excellent for lower temperature service where tight shut off required.